Vertical pre-separator for heavy dust and materials, for example, metal shots. 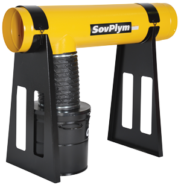 Used as an effective first stage of filtration in extraction systems. Direct flow cyclone for separation of coarse and medium-sized dust. Separation efficiency up to 99%. Serves as dust collector or effective pre-filter. 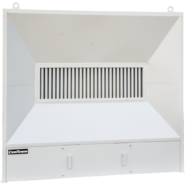 Mounted horizontally into the air duct system.